The school year is coming to a close and those summer calendars are quickly filling up. What are your children looking forward to this summer? 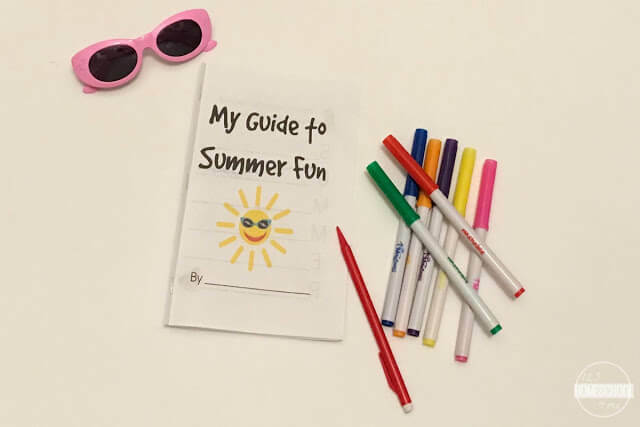 Find out with this printable book that allows them to jot down their ideas for summer fun. On the following pages, children can answer questions about what new things do they want to learn and what crafts they want to make. They can also detail which types of things they’d like to do or places they’d like to visit. 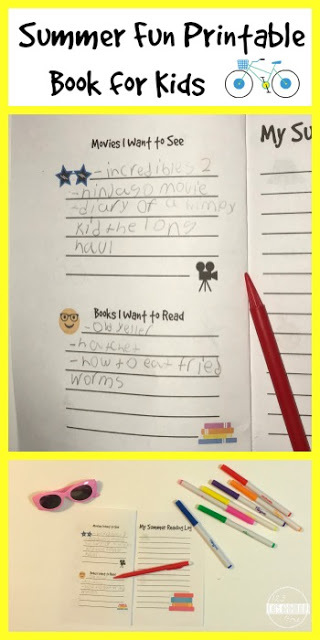 There’s also a page where kids can make a list of movies to see and books to read, as well as a summer reading log. Assemble books, fold in half, and staple twice to bind. 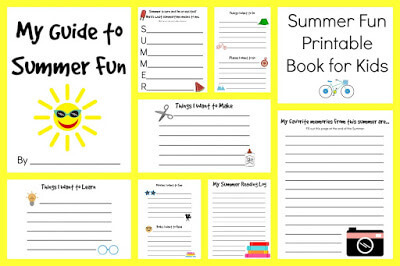 Encourage children to write down their ideas for summer fun. For younger children who aren’t yet able to write, they can dictate their books to an older child or adult. The last page is meant to be saved until the end of summer. 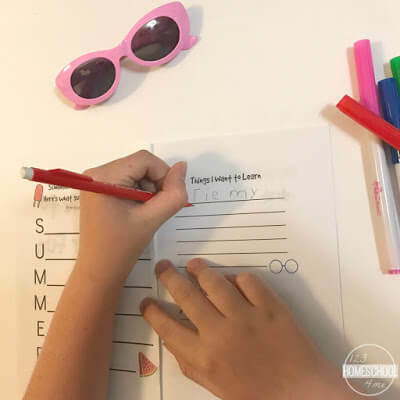 This page is for children to write about their favorite parts of the summer. These questions can help guide you in summer planning or prompt activities on those days when boredom is looming in on your children.